As 2016 comes to an end, Butterfly Circle of Friends is grateful for all of our sponsors, donors, those who attend our fundraisers and our volunteers. This was one of the best giving years yet for BCOF. Besides helping individual veterans and their families thru out the year. We were able to reach our goal to endow the Spc Michael L Gonzalez Scholarship at Middlesex County College. With all of your help WE DID IT, in April the scholarship was endowed to continue for many years to help veterans and current military personnel. As our 5K in October approached we discovered Amazing Grace Ministries - Operation Safe Haven, a housing project for homeless and at risk veterans. The new goal was to raise enough funds for a home in memory of Spc Michael L Gonzalez (The Gonzo Cottage). With all of your help WE DID IT!! 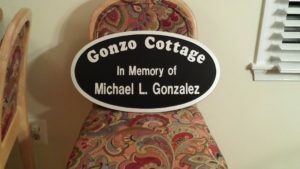 With Much Gratitude Butterfly Circle of Friends, Thanks all of You For Being Part of Keeping Michael's Memory Alive! MCC Scholarship Reception, October 27th, 2016. 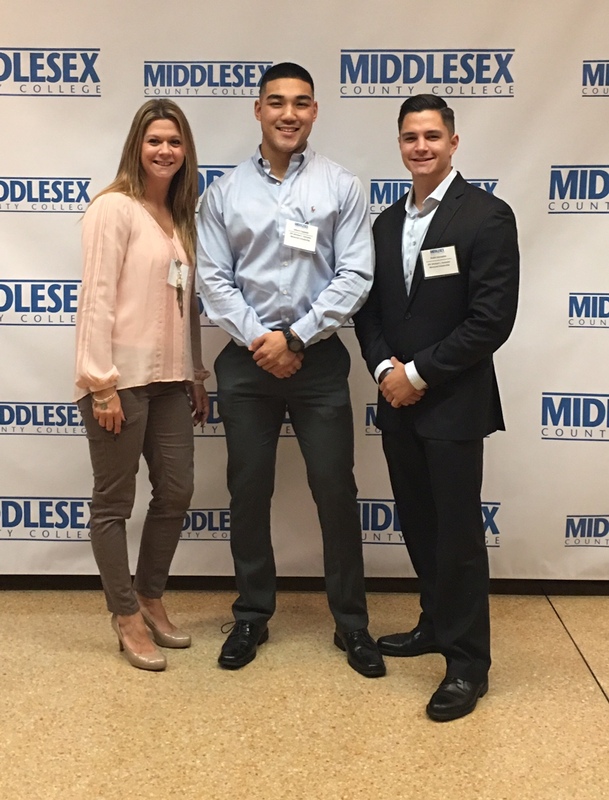 Pictured is Board Members April Kelly and Troy Gonzalez with Albert Coppola the first recipient of the Spc Michael L Gonzalez Scholarship. Albert is currently in the Marine Reserves stationed in NJ. He is pursuing a degree at MCC in Liberal Arts-Physical Education. We wish him all the best in his future endeavors!! !.